General membership is welcome to attend. Now is a great time to turn in your 2016 membership application, if you have not already done so. Please mark your calendars – the 2016 meeting and networking event schedule is here. 2016 Membership – it’s time to renew! 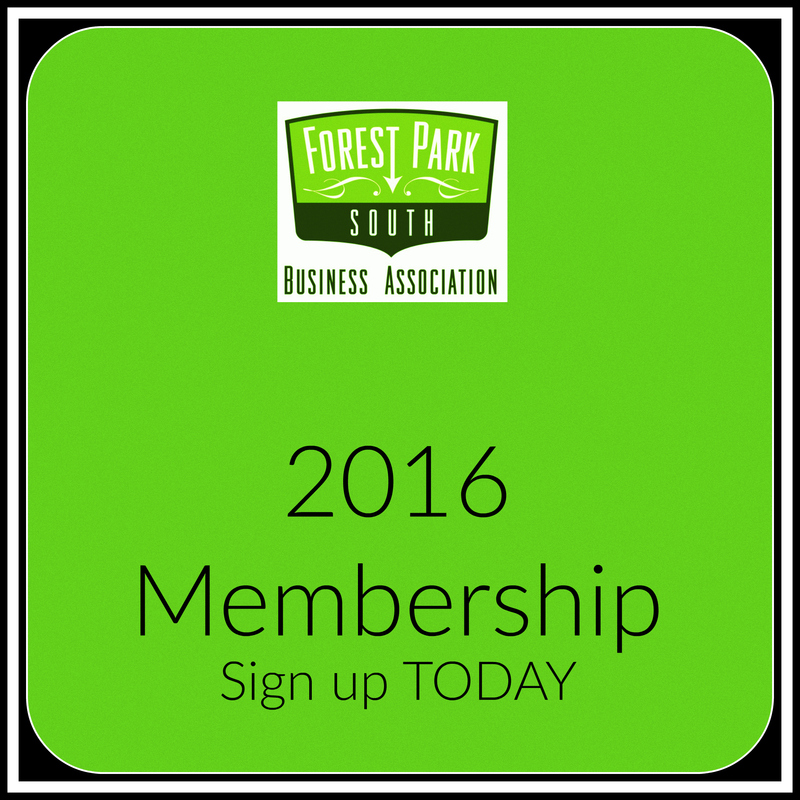 The Forest Park South Business Association WANTS YOU! As a member organization, you’ll receive two (2) complimentary tickets to each quarterly networking event (3 luncheons and 1 holiday party) plus perks program cards for each employee to enjoy discounts at participating locations. 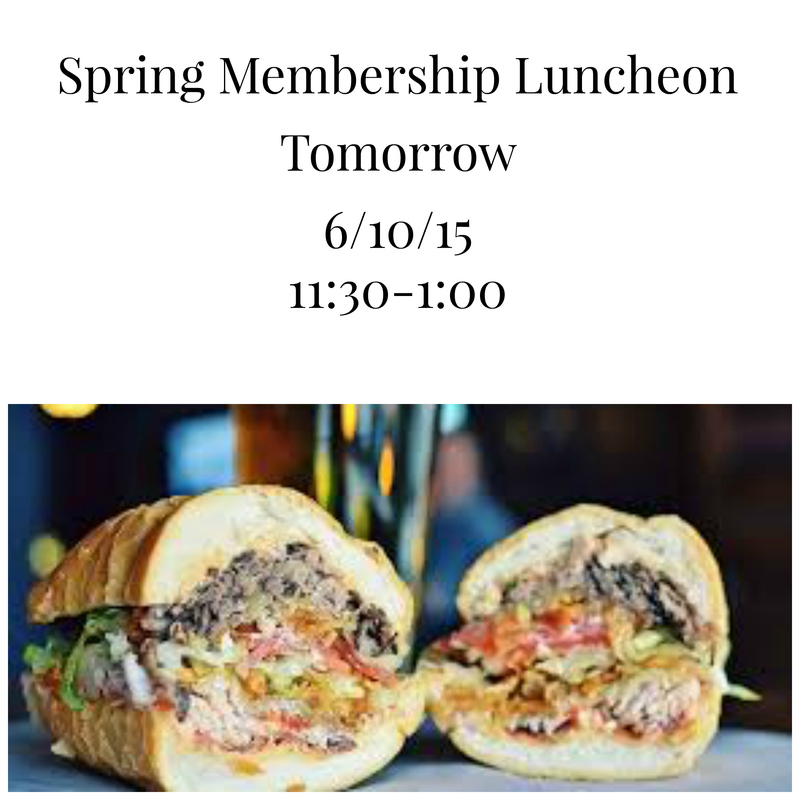 Luncheons include informational speakers, news from fellow members and a catered lunch all while showcasing a local venue. Don’t miss out in 2016! New members who join now are invited to enjoy the 2015 Holiday Celebration on December 3rd – that’s 5 networking events for the price of four. The luncheon scheduled for tomorrow, 10/14, has been postponed until next week, Wednesday 10/21. Invitations will arrive via email – keep an eye on your inbox this week. Our featured speaker will be John Achillea, Store Manager for the new IKEA. 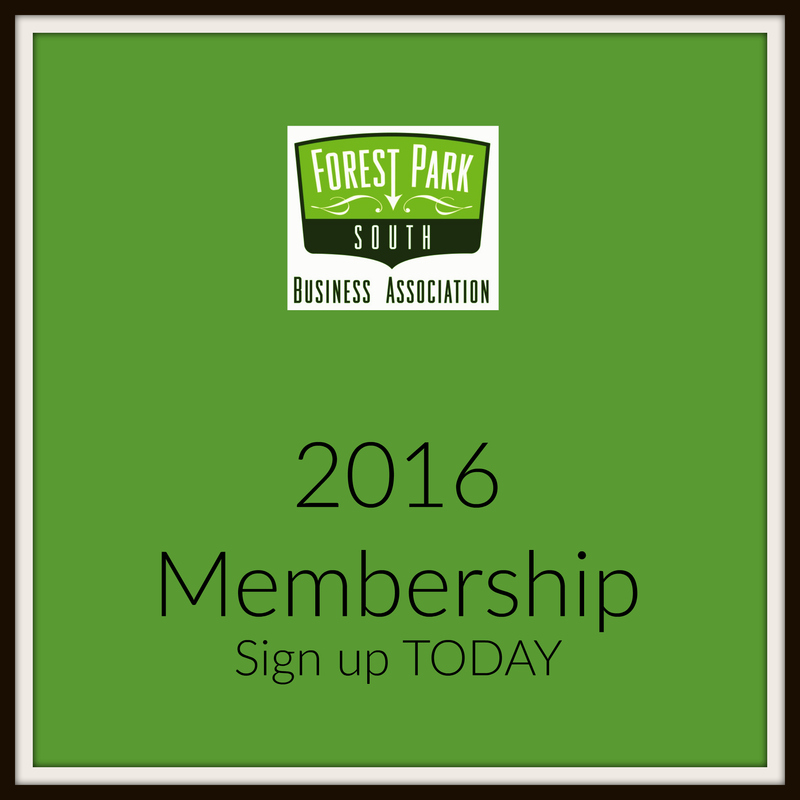 The next meeting for the Forest Park South Business Association is Wednesday, May 13th at 8:30am in Park Central’s office at 4512 Manchester Ave.
Why did you decide to establish your business in this neighborhood? The Grove is changing, growing, and becoming an up and coming neighborhood, we wanted to be a part of The Grove’s renaissance! What is your favorite aspect of the business community in Forest Park South? Diversity. With the array of restaurants, bars, shops, and venues, the business community in Forest Park South seemed the perfect spot for something fun and different like a Tiki bar. How long have you had your business here? We have been open for one year. 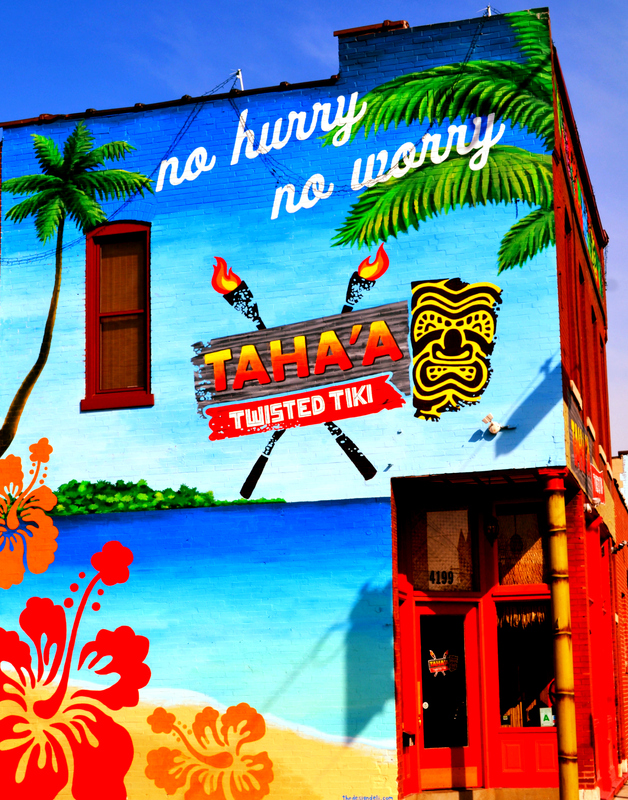 To Provide St. Louis with a fun, relaxing atmosphere, delicious drinks, friendly service all with a Tiki Twist! Honestly, we wanted to have some fun! To create a fun and relaxing environment, and Island Paradise right here in Missouri, and to provide our guests with an experience that will leave them excited to come back! What would you like others to know about your business? We feel privileged to be a part of this neighborhood, and we’re excited to grow and move forward as a part of the Forest Park South Business community. 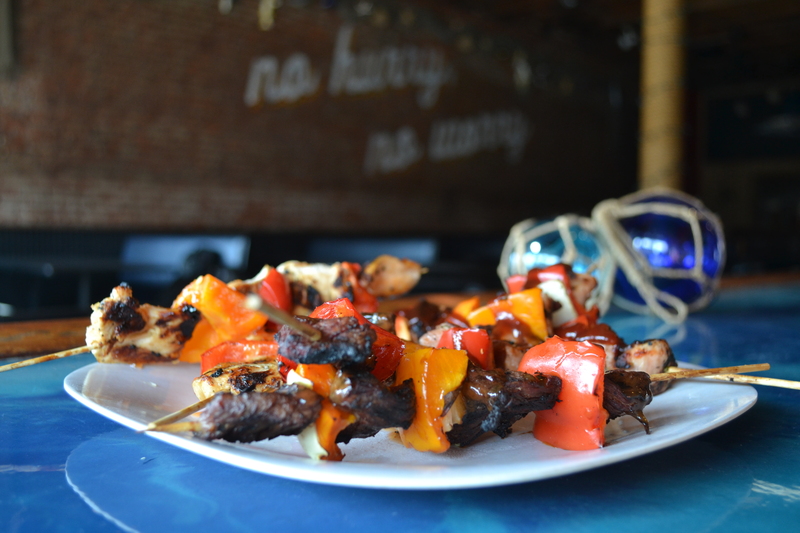 Our Skewers paired with a Mai Tai or Zombie! Always hits the spot! What would surprise people most about your business? That we are a TWISTED Tiki bar! Not just Tiki, not just a bar… a twisted blend of both! There’s something here for everyone! A diverse blend of awesome people!